Foreign businesses in China are voicing growing frustration about the country's heavily regulated market  a bureaucratic maze many say is designed deliberately to hamstring non-Chinese players to the advantage of their local competitors. Last week the European Union Chamber of Commerce in China joined the chorus: its annual position paper, an unwieldy, 650-page tome, lists hundreds of market-access problems for foreign companies across a range of industries. By stymieing open competition between local and foreign business, China is hurting itself too, says the organization's president, Jacques de Boisséson. "The proportion of European investments to China compared to the overall outbound investment from the E.U. is only 3%," he says. 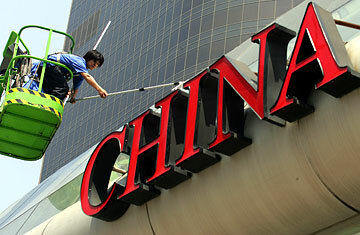 "There is not enough European investment in China." Direct foreign investment in China has been growing in step with the nation's booming economy but not as quickly as many would like. Europe's exports to China totaled € 78.4 billion in 2008, a rise of 9% from 2007. But, says the European chamber, which represents 1,400 international businesses, trade with the small nation of Switzerland is still three times as high. Despite the 30 years that have passed since Beijing swung open the doors to foreign investment, "China still remains excessively regulated and less open to competition compared to other major economies," the paper reads. Though international investors have complained for decades about the bureaucratic hoops they have to jump through to access the China market, their concerns have been sharpened in recent years by a series of regulatory changes that appear directly intended to shut out foreigners. They've made European companies wary of committing more capital to the China market, says de Boisséson. "What we are telling [the Chinese government] is that our companies are willing to invest, and for that, they need to be sure that they will be treated equally. Today they are concerned that this wouldn't be the case." Their concerns are not unfounded. In early 2009 a set of policy proposals known as Indigenous Innovation Accreditation caused alarm among international businesses when early drafts seemed to shut the door to foreign products across the high-tech industry through a complicated licensing system that required companies to register their IPR in China before registering elsewhere in order to qualify. In a report this June, the Washington-based U.S. Chamber of Commerce said the policies were "considered by many international technology companies to be a blueprint for technology theft on a scale the world has never seen before." While subsequent drafts of the law have been more accommodating, foreigners have also complained loudly that they are being shut out of much of the lucrative government procurement sector. The U.S. and most other Western markets are signed up to the World Trade Organization's government procurement agreement, legally forbidding them to keep foreigners out. China, however, is not signed up. Last year the European chamber stated that government tenders in the fast-growing wind-power sector were deliberately designed to keep foreign companies out of the running by inserting criteria that only Chinese companies could meet. The organization also noted that not one of 25 valuable contracts awarded to companies under the government's $584 billion stimulus package went to a foreign-owned company. The atmosphere does not appear to have improved. In July the heads of two of Europe's largest companies caught Beijing off guard by complaining directly to Premier Wen Jiabao that foreign businesses were being unfairly discriminated against. Jürgen Hambrecht, chief executive of BASF, told the Chinese leader that his company was being forced, by the regulations it had to accept in order to set up certain businesses, to transfer technology to China in order to access the China market. "This is not our idea of a partnership," he was quoted as saying. At the same meeting, Peter Loescher, chief executive of Siemens, complained about the uncompetitive advantage given to domestic companies in the awarding of public procurement contracts. That same month, GE's CEO, Jeffrey Immelt, sparked a p.r. crisis when remarks he made in private about the deteriorating market environment in China were leaked: "I really worry about China ... I am not sure that in the end they want any of us to win or any of us to be successful," he was quoted in the Financial Times as saying to an audience of top Italian executives in Rome. The American Chamber of Commerce in China has also echoed these concerns. "For the high-tech sector, the ITC industry and industries that are heavily dependent on intellectual property, there is a great concern about the operating environment in the future, because of the regulatory-policy changes and narrowing of market access," says Christian Murck, the organization's president. "Companies say that China remains their top priority for future investment, but of course that future investment will depend on the degree to which there is scope in the market for foreign companies to operate." The very public airing of grievances has clearly rattled China's leaders, who have made an equally well broadcast show of placating foreign investors in recent days. "China is actively engaged in making a more open and better investment environment for foreign businesses," Chinese Vice President Xi Jinping assured international investors in a speech this week. "We have adjusted our definition of 'indigenous innovation' and confirm that foreign businesses are part of China's manufacturing force." De Boisséson acknowledges that Beijing is talking a good game, but he cautions that sweet words from the leadership do not always translate into law. "We would like to see concrete steps on the ground that show all China is united around this policy," he says, adding that China can no longer assume that the lure of access to more than a billion potential customers will always trump foreign investors' concerns about the market environment. "If one day conditions are unacceptable for European companies, I suppose they might change their plans," de Boisséson says. "Nothing is there forever." See pictures of China and Google. See how China is tightening its grip on Tibet's business class.